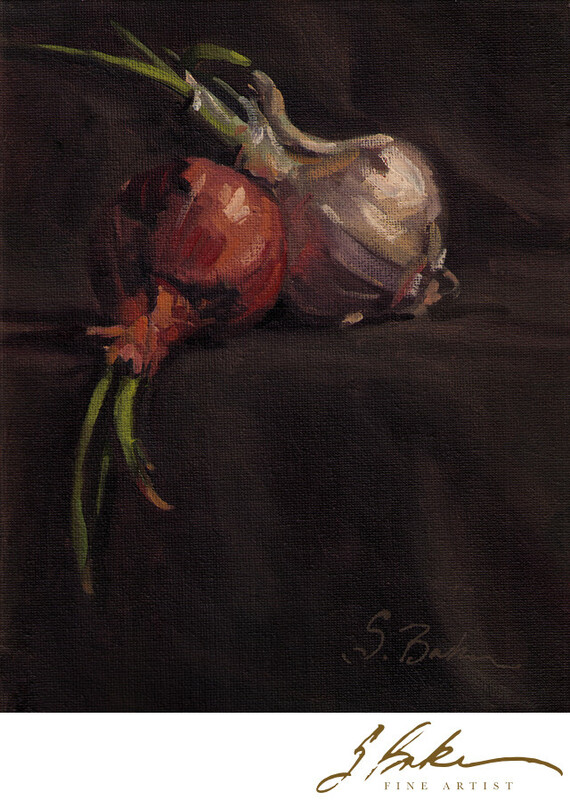 8 x 10", oil on canvas, 2008. Sold. I lived in Bahrain, in the Middle East for two years. We arrived in August to broiling temperatures. Not knowing anyone yet, I spent a good bit of time in my studio painting local produce. Close to my home, there was a produce market. This onion and garlic had sprouted which was interesting since we don't see much of that in the grocery stores in the states. I scooped them up and made this simple arrangement with the garlic leaning relationally on the onion. They make a nice couple.